Hi All! It has been a busy month over here but we have been enjoying the wonderful ‘fall’ weather! 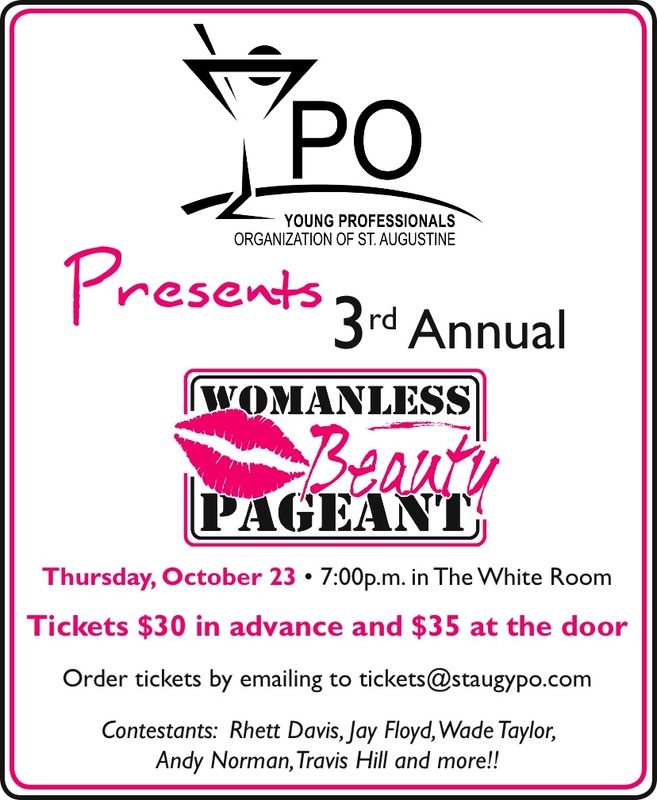 Each year the St. Augustine Young Professionals Organization (YPO) hosts a ‘womanless beauty pageant’ to raise money for charity. Now in the 3rd year, the charity of choice is the St. Augustine ARC. This organization’s purpose is to help severally handicapped children in the St. Augustine area and prepare them for the life that lies ahead. I would love to see you all at here helping to support this amazing cause. I have included the ad with some more information about the pageant. You can also check out the YPO website, www.staugypo.com.